UAS can be used in routine and emergency inspections at refineries and chemical plants. They can be used to generate and/or support a baseline comparison for engineers as they evaluate sensor data on the supporting infrastructure, rust formation, integrity of the pipework, invisible leaks to the naked eye, and condition of the flare tips. Overseeing BP’s oil field in Prudhoe Bay, Alaska, isn’t an easy task. The harsh weather conditions lead to ice break-ups, floods and ice floes that alter the field’s topography—making monitoring and maintaining the terrain a challenging, expensive and even dangerous task. The 250,000-acre oil field is the largest in North America and features a 200-mile road system, 400 miles if you count the offshoot byways. The drill rigs transported on this gravel network are up to 28 feet wide, 132 feet long and weigh up to 3.5 million pounds, with a driver at each end. In 2006, BP began looking into using Unmanned Aircraft Systems, or UAS, as a way to help track developments across this swampy tract. In June 2014 BP chose AeroVironment to provide 3-D mapping, Geographic Information System (GIS) services and other information using its Puma AE unmanned aircraft. The five-year contract was significant, marking the first time UAS would be used to perform routine commercial services over land in compliance with Federal Aviation Administration regulations. Over the last year or so, BP has used maps produced with data from a UAS-based LiDAR (Light Detection and Ranging) sensor. These maps, along with precision GPS guidance systems, help drivers keep the drill rigs centered on the roadways. The highly accurate maps also make it possible to take a road grater and drive a convoy to rescue someone stuck during a blizzard. One of the advantages of using in-house UAS, drones, is BP staff can easily check on well pads and pipelines monthly—or as often as they’d like. BP isn’t the only energy company looking to UAS to cut costs and provide more efficient, safer operations. The industry as a whole is starting to realize the many benefits this technology can provide. To help meet increasing demand, more UAS manufacturers are offering their services to oil and gas companies, from those who operate onshore oil fields like Prudhoe Bay in Alaska to firms with offshore oil wells in the Gulf of Mexico to chemical plants and refineries. On January 27 Unmanned Ad-hoc Industries’ Data Collection Team I traveled to Tyler, Texas for Intelligent Data Collection (IDC) of SCANDRILL’s Scan Vision. One of the biggest challenges at both offshore and onshore facilities is corrosion under insulation, or CUI, said Dr. Peter McClean Millar, director for engineering subsea lifecycle services for Aker Solutions. 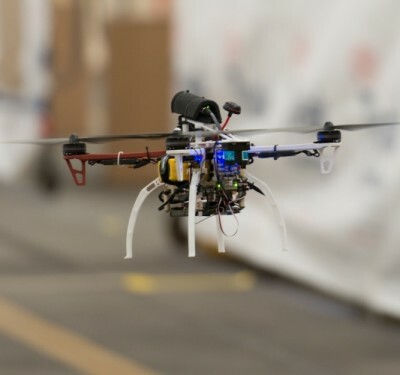 An offshore company, Aker Solutions is very interested in employing UAS, and has been working with Unmanned Ad-Hoc Industries, or UAI, for the last year and a half to come up with applications that save time, money and lives. 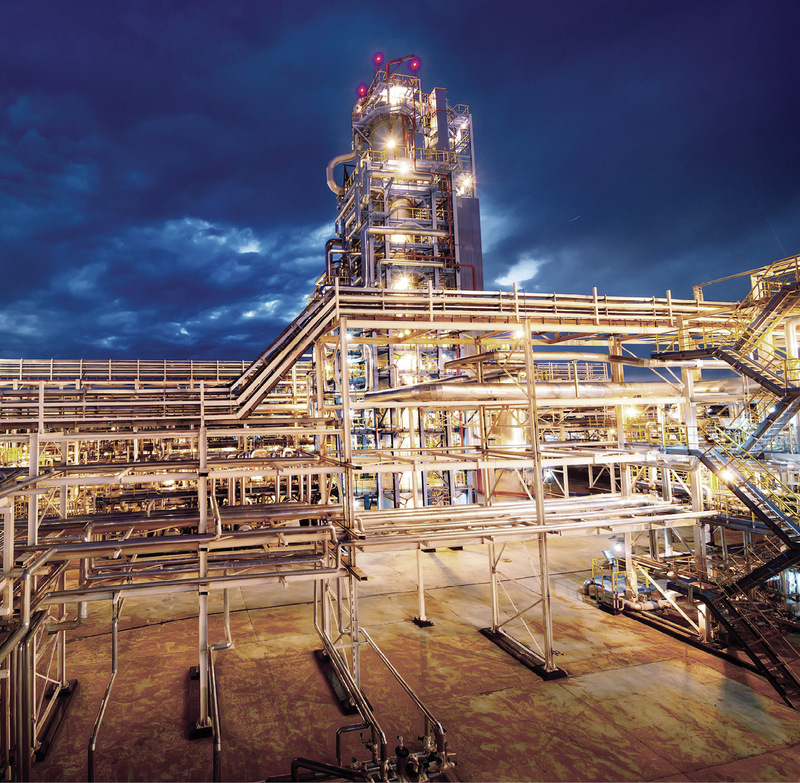 UAI focuses on the oil and gas industry, and has about 20 clients in the upstream, midstream and downstream sectors. The problem? The pipelines and vessels are covered with thick insulation that you can’t see through unless you strip the insulation off. If any water gets behind or under the insulation, there’s a good chance it will start to corrode the pipe and lead to loss of containment, a costly and dangerous problem. CUI has caused explosions in chemical plants, Millar said, meaning the ability to spot it early can help prevent injuries, even save lives. The UAS can perform a baseline survey of the insulation, Millar said, and then use that to help spot corrosion or rust in later flights. When there’s CUI, the rusty water will leak out. If it’s spotted early, workers can make repairs before too much damage is done. Unmanned aircraft also enable inspectors at both onshore and offshore facilities to get closer to pressure vessels, pipe work or whatever they might need to examine without using scaffolding. A UAS with a camera or other sensor is cheaper, quicker and safer, and enables workers to perform inspections on their own timeline, without having to wait weeks for an expensive scaffolding crew. ING’s Responder can be used for a variety of other applications. 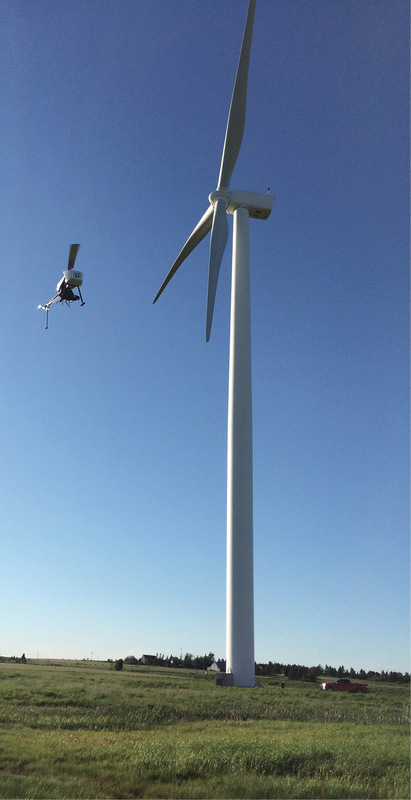 Here it’s inspecting a wind turbine in Nova Scotia. Offshore oil rigs can use UAS technology to support asset integrity management—an assessment process applied continuously throughout design, construction, installation and operation to ensure facilities are fit for purpose. 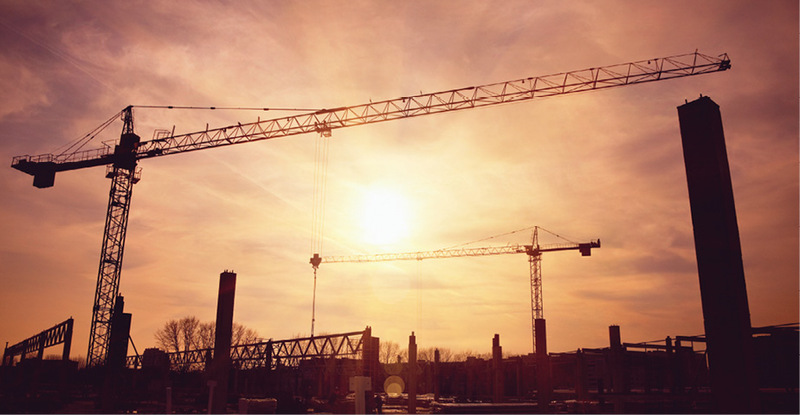 UAI’s Intelligent Data Collection, or IDC, employs remote sensing to bring clients the data they need without having to shut down equipment or put workers in dangerous situations, UAI CEO Clay Kroschel said. When a facility needs to add on to an oil rig or match new pipelines to existing ones, someone is typically sent out to the field to take measurements and then use a computer-aided drafting (CAD) program to create blueprints of what the new facilities will look like. Kroschel can use UAI’s HEFF (High Endurance Folding Frame) aircraft to create a 3-D point cloud of the facility. This technology not only eliminates the need to send workers out into the field, it offers 3 cm accuracy, reducing the chance of mistakes. They can perform that flight to collect data as often as they want, providing a more accurate, up-to-date blueprint than anything on file, he said. Millar would like to employ UAS technology to monitor the integrity of fire prevention insulation as well as any pieces of equipment sitting in readiness over a long period of time that need periodic inspections. It can be used to detect corrosion, fatigue or deterioration before they become a major problem. UAS can also save midstream, or pipeline companies, plenty of time and money, Kroschel said. With UAS, they can survey the pipelines to collect the same data with a quarter of the manpower, for 40 percent less money and in a quarter of the time. It takes eight surveyors to cover about a half mile of pipeline in a day, he said, while a UAS can cover 12-16 miles in the same time, collecting the same data with 3 cm accuracy. UAI has partnered with ALS Oil & Gas to enhance the company’s pipeline leak detection capabilities. ALS uses fiber optics to immediately spot problems. 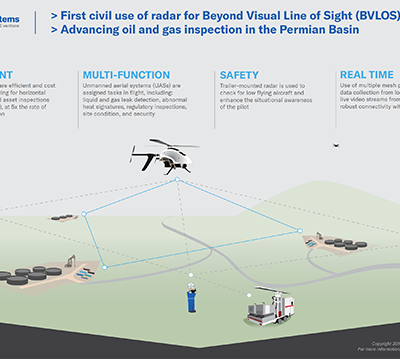 While unmanned aircraft offer great potential value for pipeline inspection, the FAA currently prohibits operators from flying beyond direct line of sight. 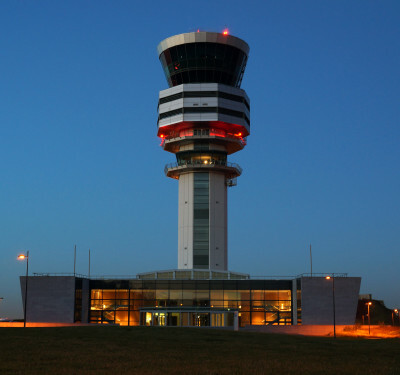 That limitation makes this application challenging, said Ian Glenn, CEO of ING Robotic Aviation, a Canadian company that flies its Responder UAS in harsh conditions to collect data. There’s plenty of mapping and pipeline inspection work to be done, but that work will still take a while if UAS operators can only inspect a few sections at a time, he said. Even so, ING’s clients have been happy with the results the Responder has produced so far, Glenn said. 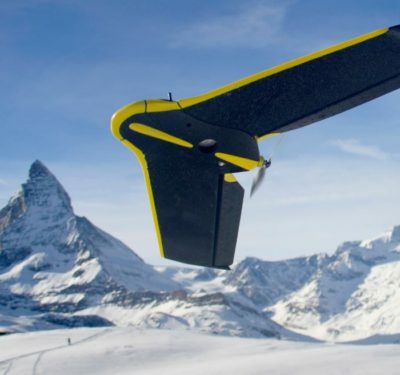 They’re able to obtain records from the air that show exactly what a right of way looks like, and they’re able to get it in below zero temperatures with winds blowing at 14 knots—all without being exposed to the harsh weather conditions. 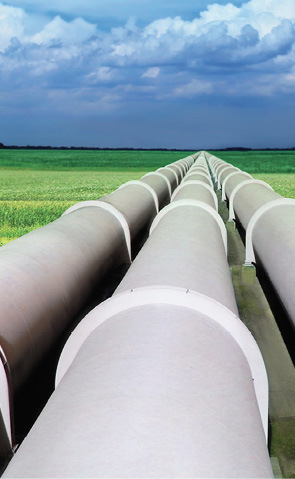 One project manager installing new pipelines was amazed by the fact he was able to get more data more quickly, without ever having to leave his office—or going through the environmental and safety training required to gain access to the rights of way. The 3-D map also clearly indicates every marshland and frog pond along their path—essentially everything they need to know about the wildlife in the area so they can avoid disturbing it when putting in pipelines. 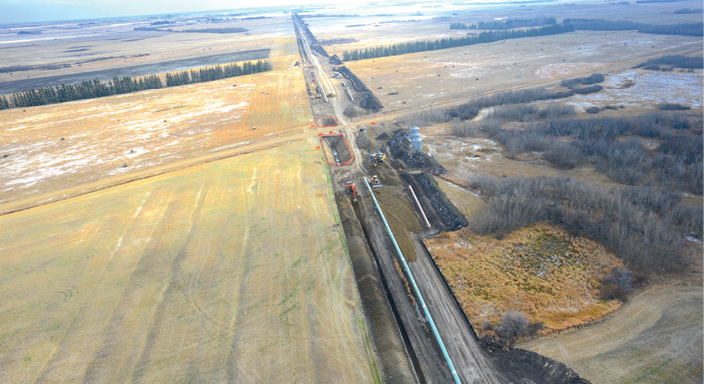 Aerial view from ING’s Responder of pipeline implementation. When it’s time to inspect a flare stack or any other high-value infrastructure at a refinery or chemical plant, the machinery needs to be shut down, said David Proulx, VP product and marketing for Aeryon, a UAS company that provides services to the oil and gas industry. 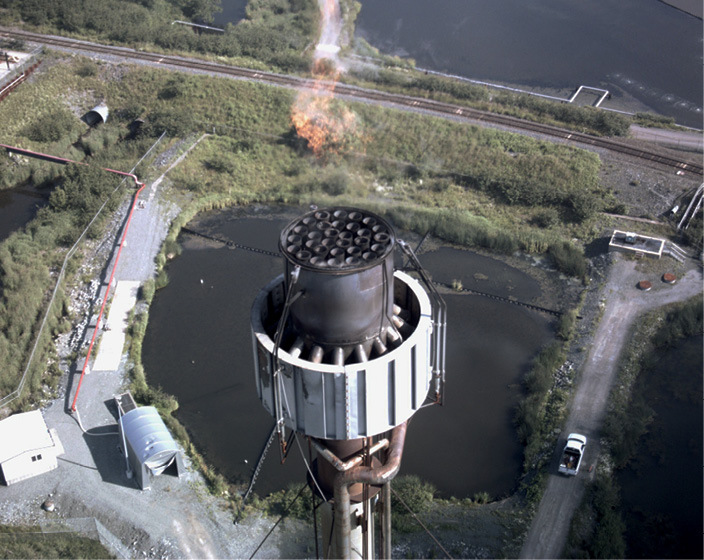 Brian Whiteside, president of VDOS Global, uses the SkyRanger to do flare stack inspections as well as land surveying and monitoring for a variety of oil and gas companies, including Shell and Exxon Mobile, he said. The majority of the downstream work VDOS does is visual inspection, including looking for corrosion, cracks or any other types of damage that indicate problems. When companies like UAI or VDOS talk to oil and gas clients about UAS services, one of the biggest challenges is educating them about the technology and the many ways it can help their business. Most are new to the technology and are uncertain about the FAA regulations—something UAI walks them through. Another challenge is trying to produce data that has legal meaning behind it, Whiteside said. There’s a whole series of steps and levels of standardization, certifications and protocols these companies must follow so they can be used in a legal setting. So they not only have to follow the FAA’s regulations for flying UAS, they also have to meet industry legal and safety standards every time they fly. And while many people say the UAS technology is there and the industry is just waiting for the FAA regulations to catch up, Whiteside said the technology is still new and needs to be proven. Even today, oil and gas companies already flying UAS have realized its many benefits. Not only can they perform inspections and other tasks quicker with fewer people, they can perform them more safely and at a fraction of the cost, Millar said. UAS offers better access to difficult-to-reach areas, without the need for scaffolding. They can record the data, take baseline surveys and provide a point cloud to build 3-D models that make it possible to tie all that data together. And as more oil and gas companies learn about UAS and become comfortable with the technology, and as regulations become more defined, Whiteside said, UAS will become part of standard operating procedures. UAS technology also gives energy companies access to information they never had before and the opportunity to not only better analyze the data they collect, but to repeatedly collect data for future comparisons and analysis as well. The technology will continue to improve with batteries lasting longer, sensors getting better, and platforms becoming more standardized. While there are already countless applications, companies will continue to discover more opportunities to use this technology to save time.